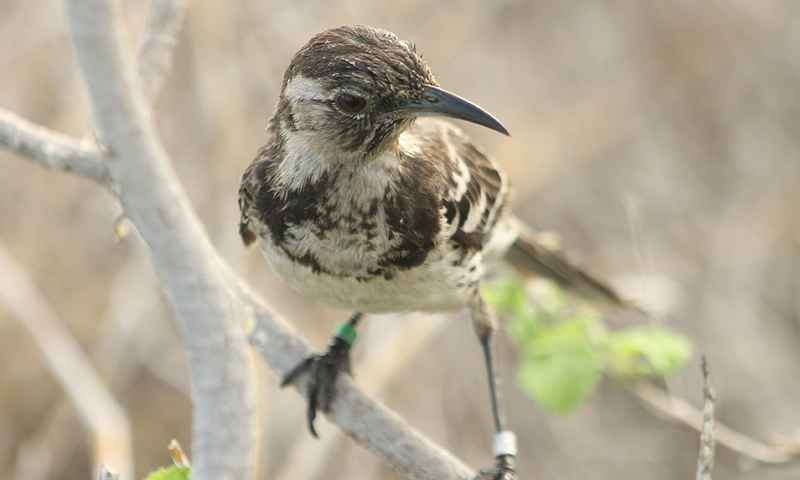 The Floreana mockingbird, critically endangered and now isolated to two small satellite islands, was the first mockingbird to be described by Charles Darwin. The Floreana mockingbird was the first mockingbird species described by Charles Darwin during the voyage of the Beagle in 1835. His reports say these birds were widespread across Floreana, however it only took 50 years for the species to become extinct on the island. During his travels he came across three other species of mockingbird in Galapagos. It was his observations of the differences in the three bird species, all derived from a common ancestor, that was used as part of his evidence for evolution by natural selection. Floreana mockingbirds are almost identical to the Galapagos mockingbird except for their red-brown eyes and dark patches on the side of the breast. They have a long graduated tail with pale tips and a longish curved beak. Unlike other species of mockingbird, Floreana mockingbirds do not mimic other birds. Once found across Floreana, they now exist on two tiny islands off the coast: Champion (0.1km2) and Gardner-by-Floreana (0.8km2) with the overall population consisting of several hundred individuals. It is believed to have become extinct from Floreana due to habitat loss and predation from invasive species. The Floreana mockingbird diet is primarily made up of terrestrial insects, but they are opportunistic and will also eat flying insects, fruit, nectar, pollen, centipedes, crabs, lizards and regurgitated food from boobies. Mockingbirds form gangs of between two and ten individuals that are highly territorial and inquisitive. Scientists report that when stationed at camps on the islands the birds will find them before they have a chance to go looking for the birds. They are also cooperative breeders with young birds assisting the parents in the rearing of offspring. The small population fluctuates dramatically based on extreme weather. Only when the population is above the critically endangered threshold for five years will its conservation status be down-listed. Where to see them: Only on Gardner-by-Floreana and Champion Islets to the east of Floreana. The smallest range of the four Galapagos mockingbird species. Threats: Invasive species such as cats and black rats are believed to be behind the disappearance of Floreana mockingbirds from Floreana island. The disappearance of Opuntia, the prickly pear cactus, which is used by the birds for nesting and feeding is also likely to be a factor. A population viability analysis of the Champion population suggested that there is less than a 50% chance of the Floreana mockingbird persisting on the island for another 100 years. Severe La Nina and El Nino events lead to extended dry periods which affect the adult population. Avian pox and the invasive Philornis fly are also known to affect this species as well as many others on the Islands. Due to the severely low population it is feared the genetic diversity could already be dangerously low. 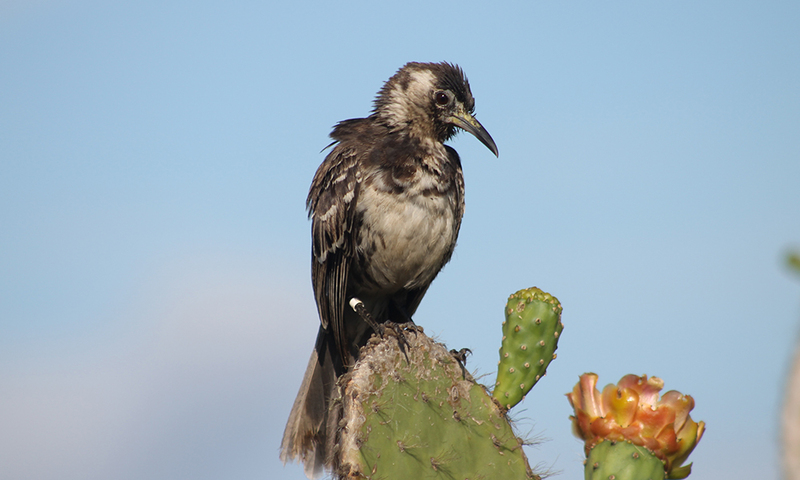 Conservation actions: We are working with partners on the Restoring Floreana programme which, ultimately, aims to reintroduce species that have become locally extinct on Floreana, including the Floreana mockingbird. This includes restoring a balanced ecosystem using conservation and adaptive management techniques. As part of this, we also support specific research into the mockingbird’s ecological requirements that will enable us to ensure that it can survive on Floreana once it is reintroduced. 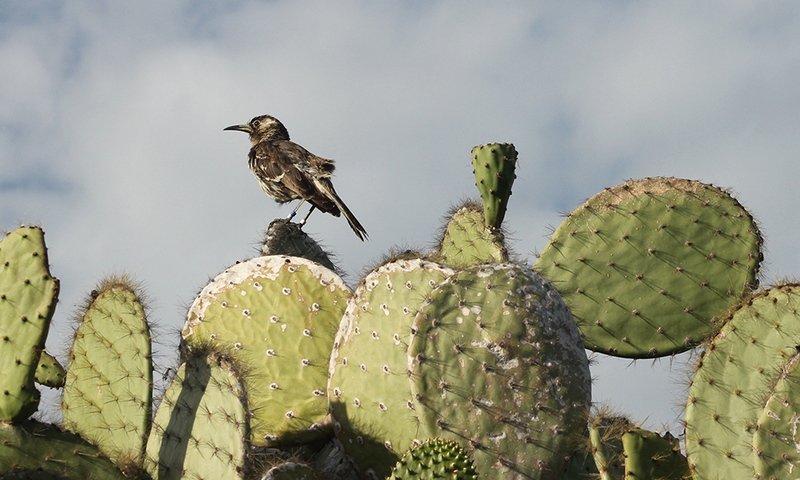 Help us to protect the Floreana mockingbird by donating to the Restoring Floreana programme today! Luis Ortiz-Catedral takes us on an exclusive trip to the remote islet of Champion, now one of only two places in the world where the Floreana mockingbird exists. Back from the brink: the Floreana Mockingbird from Andy Duckworth on Vimeo. 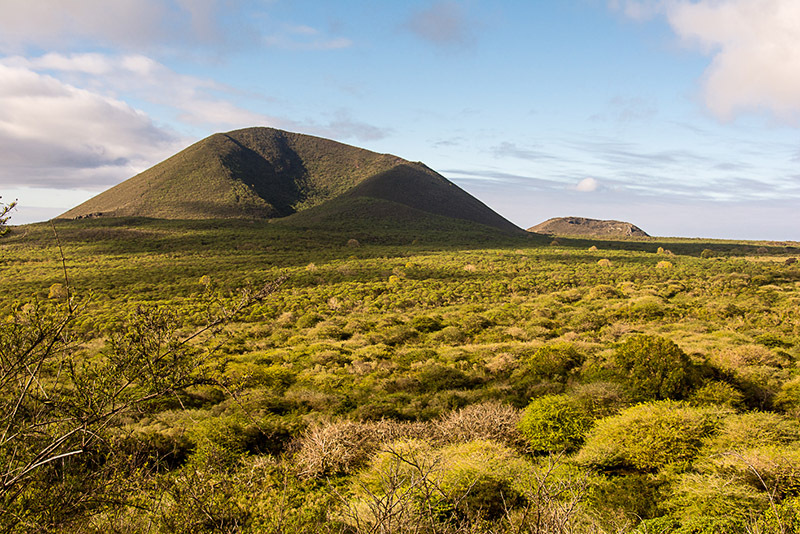 Find out more about our Restoring Floreana programme which aims to eradicate invasive mammals on the island in order restore its habitat and, ultimately, reintroduce locally extinct species.